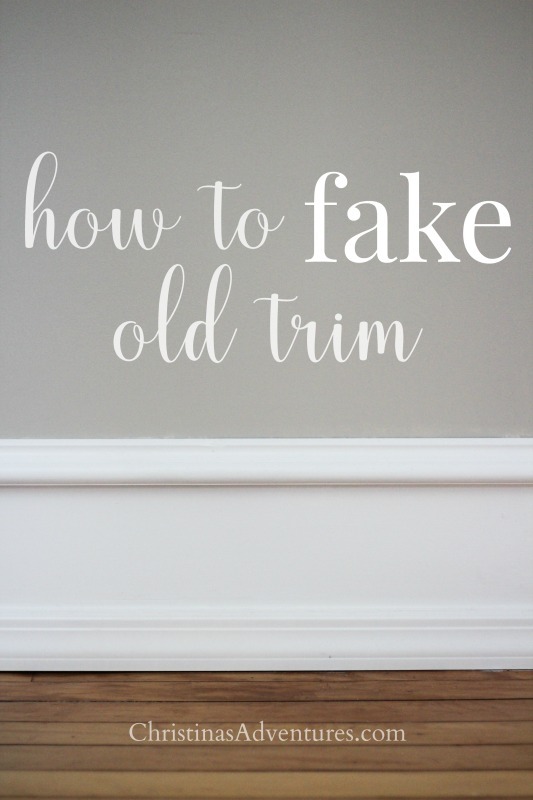 This easy DIY method shows how to match and fake old trim. This can be used to add character to a new home, or to match existing old trim in an older home. 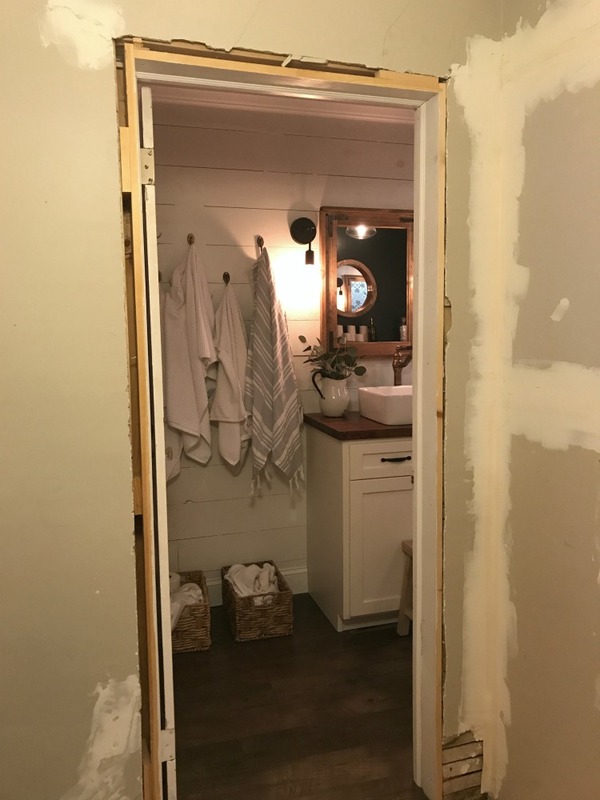 When we made over our bathroom upstairs, we moved a doorway to expand our bathroom’s footprint (we took out a closet so we could add another vanity). 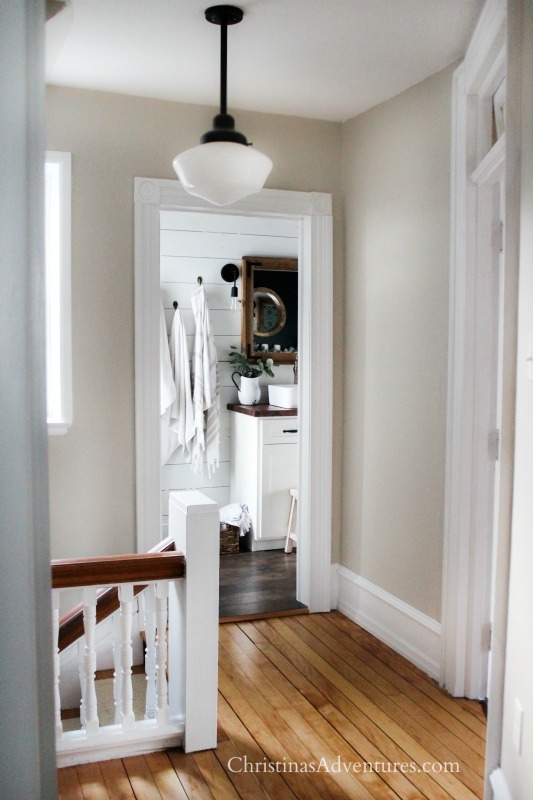 So far, we’ve done SO many of our renovations by keeping the existing floor plan, so we haven’t had to worry about replicating our beautiful old trim. 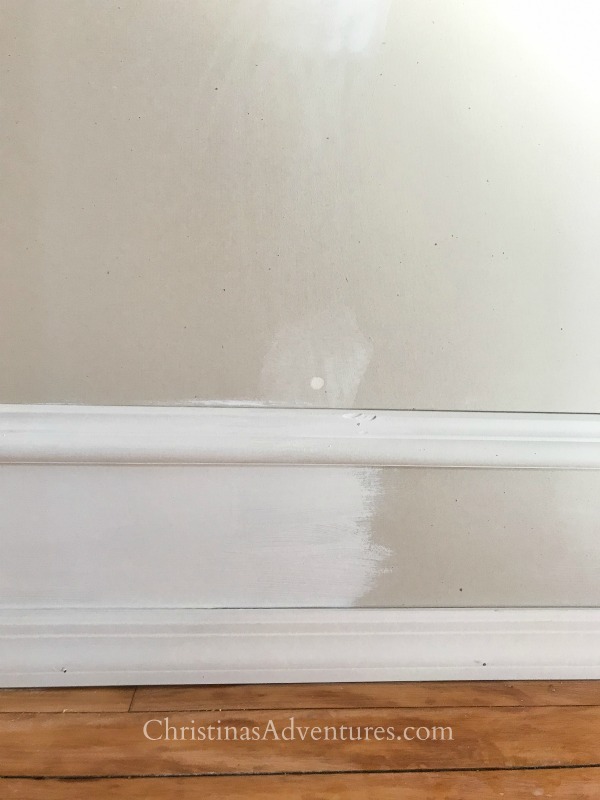 When we had to replace the trim around our bathroom door and in the hallway, I wasn’t quite sure how to “match” our old existing trim. So, in typical Christina fashion…I procrastinated and didn’t touch it for over 6 months. Ahh – yes. This is embarrassing, but it’s real life! I still can’t believe how well it turned out! It was SO simple, inexpensive, and I’m kicking myself for not doing this sooner! 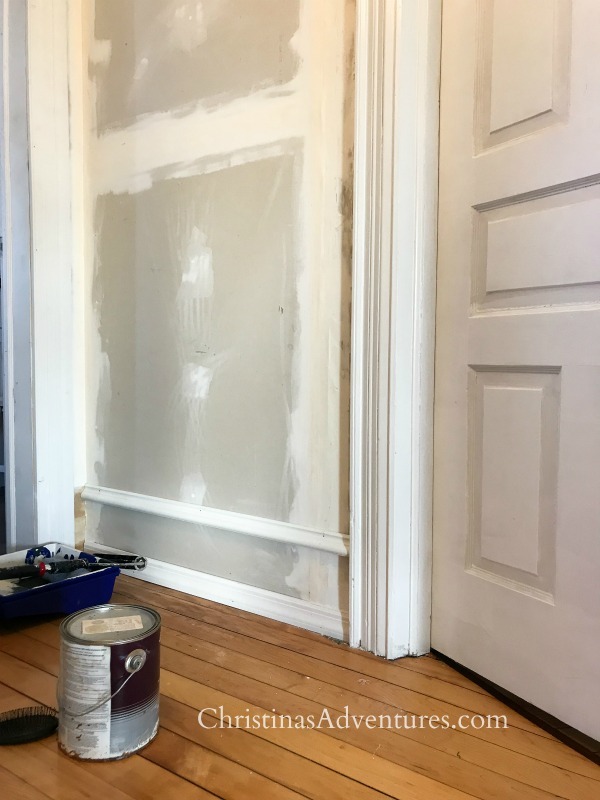 Here’s the fun part about this method: it’s a great way to match existing old trim, but it’s also a way to add character to your builder-grade home. 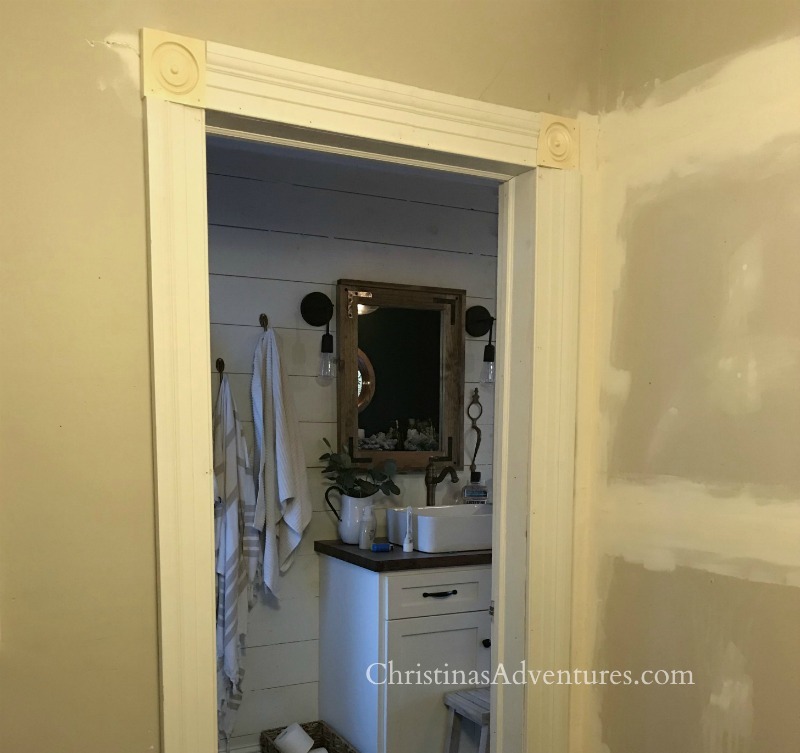 We got all of our trim from Lowe’s, and the pieces were not expensive! In hindsight – we probably would have picked corner pieces that were one size bigger. 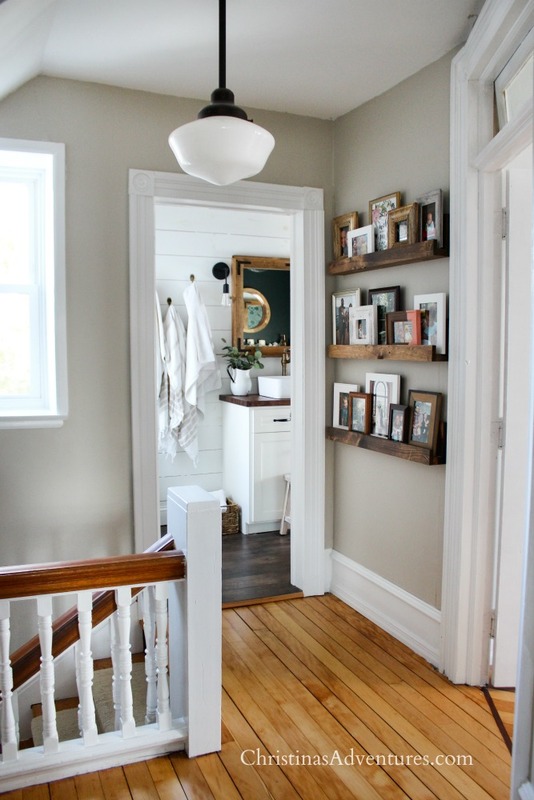 These work, and they’re fine, but the size is a little close to the molding around the sides of the door and it would look really beautiful if it was a little larger. But the real trick was the molding at the bottom of the wall. If you look above, you can see that we do not have any wood between the two thinner trim pieces. We measured so it was the same height as our existing old trim, and placed the top piece at the same height. Once you get your trim pieces nailed in, you’ll want to make it all look like one piece. This will start with paint! Once you’ve painted one solid coat on, you’ll need to caulk. This is truly what makes it all look like one piece! See the difference?! 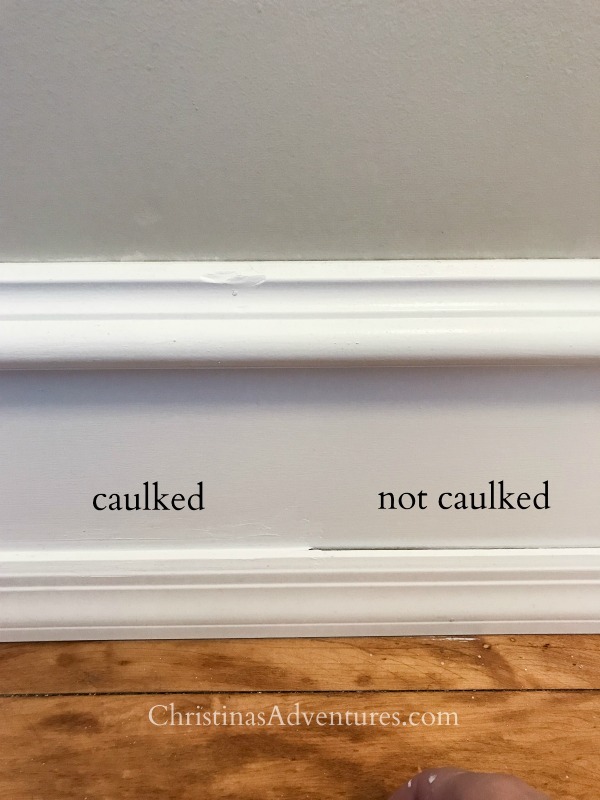 Make sure you use paintable caulk, because you’ll need to paint a second coat on top of the caulk. Once you’ve done two coats, step back and enjoy your trim! Guess what? It didn’t stay like that for long! 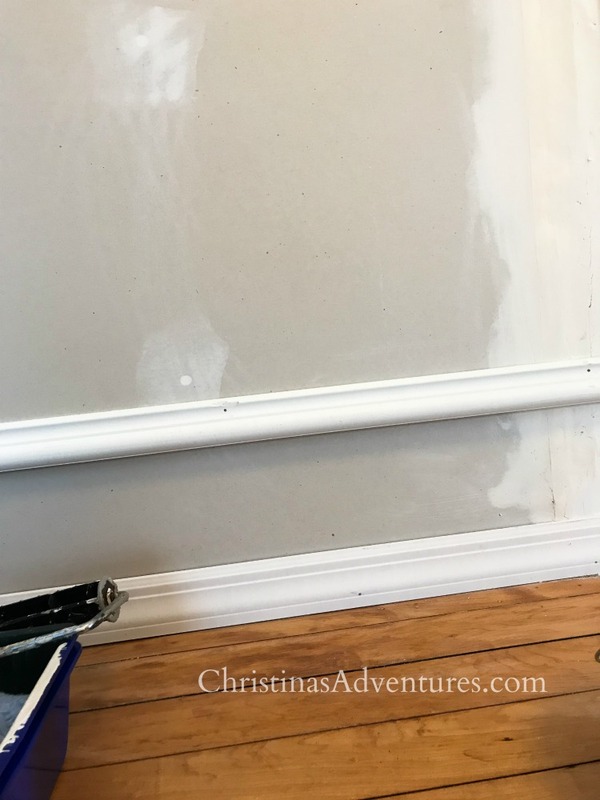 We added a great, easy and budget friendly DIY project to that space above our fake old trim…come see all of the details here! Did you find this helpful? Please share with others/save for later by pinning it here! Love the molding and i forgot about this option! Thank you Kristin! It’s seriously simple and we’re so happy with how it turned out! HI wehere didn’t you get the bathroom lights? Love them !! This is my first time here but I’m glad I have found your blog. 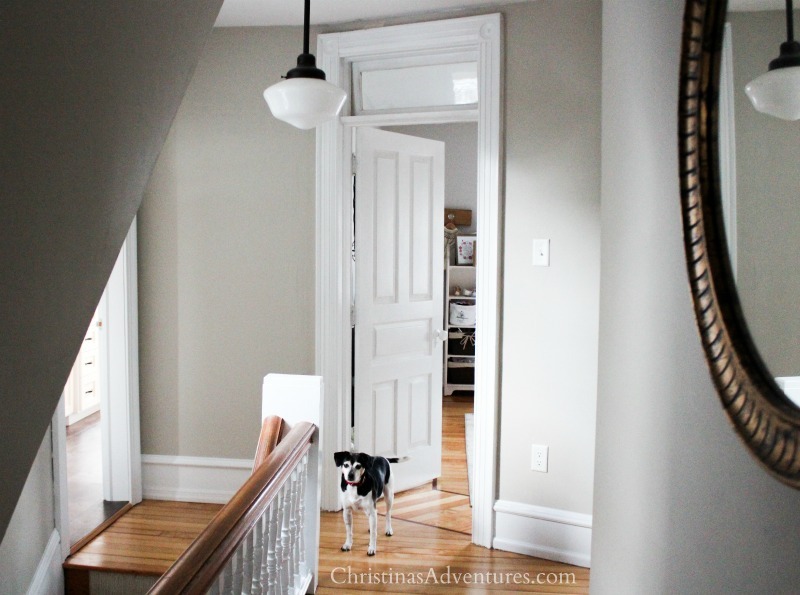 I also love the light fixtures and the trim looks beautiful. It’s so amazing what a little trim and paint can do to a home isn’t it. so kind of you Janis! I really appreciate it! Hi! Not sure if this was mentioned, but how many inches are between the 2 pieces of trim? 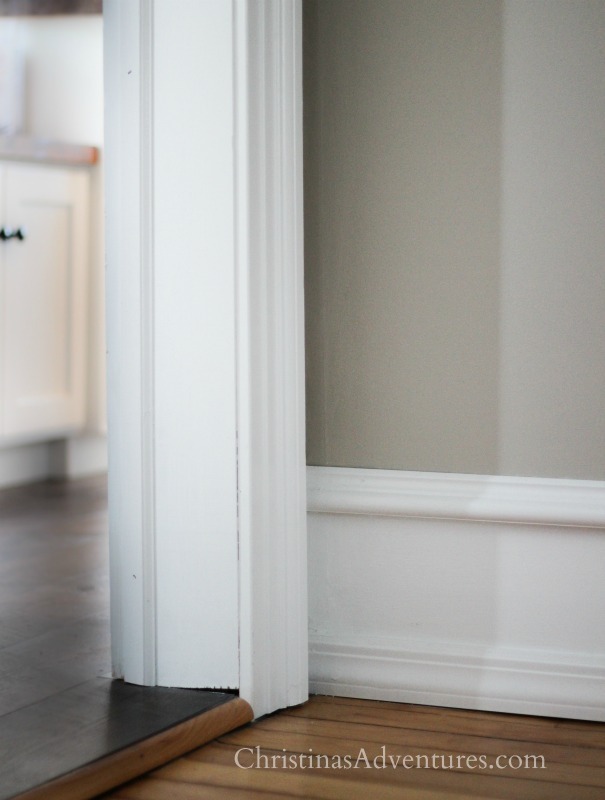 This is a great “faux” tall base trim project! Love your décor and the changes you make by moving things around during the seasons. The baseboard tip if so cool. Thanks for sharing! thank you so much Mary!! 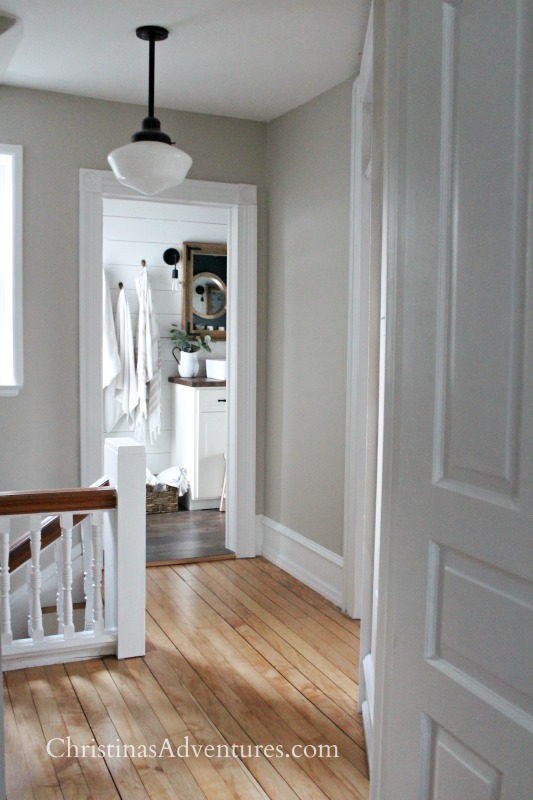 The flooring is original to the house – built in 1902!! Oh thanks so much for coming over! Nice to “meet” you – and I’m so glad this was helpful to you! !